The past 2 weeks have been steps forward and backward in the R-G lab. We are mostly moved in and have been able to start caring for the planarians in the lab (rather than my basement). We have started to make solutions. I also have two brave rotation students (Theresa and Jen) with whom I will be trying some cloning, RNAi, and in situ experiments in the coming weeks. Fingers crossed! I also posted a job for a lab technician. So fingers crossed for that, too! 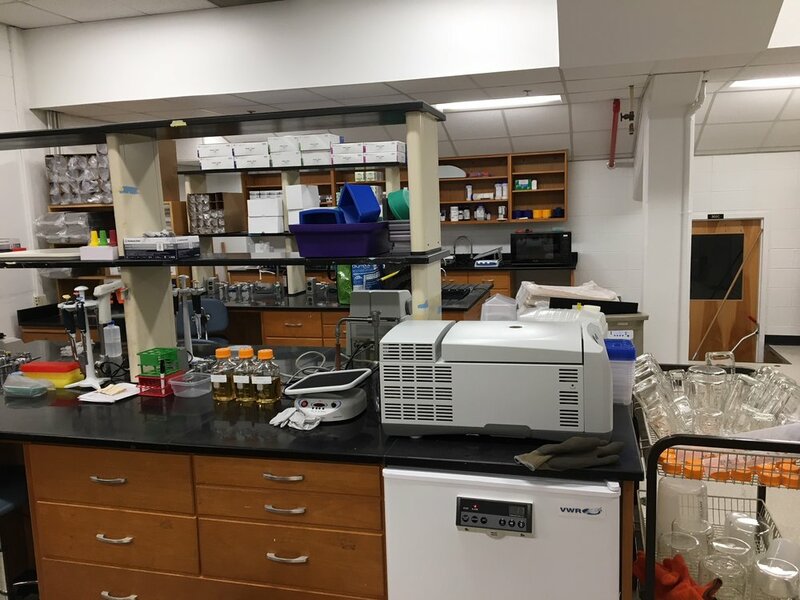 In more frustrating events, my fume hood installation required the removal of 1 door, 1 eye wash station, and 1 cabinet (to fit the hood through the lab). We have a clogged sink (again) and my desk is the messiest it has ever been in my whole life! Looking forward to continuing to settle in for the coming weeks.